For each of the 12 days leading up to Christmas, I will do a different Disney character. Each Disney character has been requested by friends so to give me a challenge. Yesterdays was Cogsworth and Lumiere. 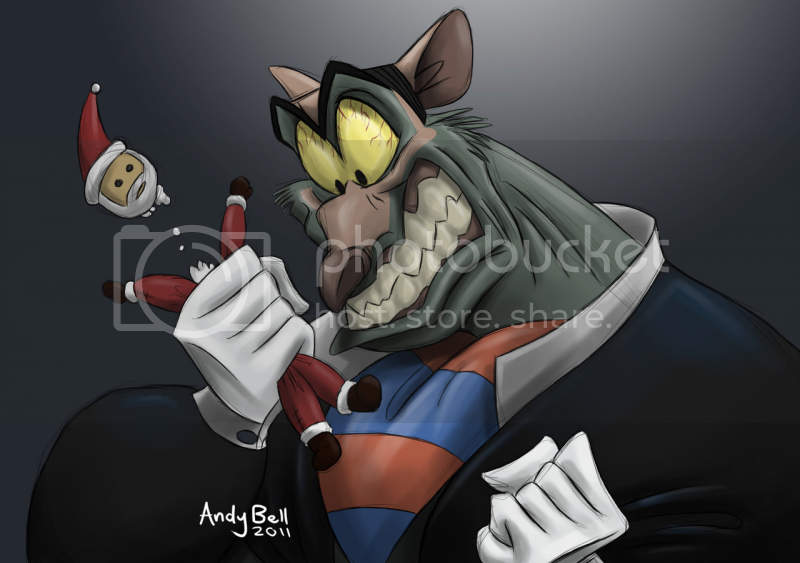 This is Ratigan as requested by Lana Damage. Done completely in Photoshop CS5.